Take advantage of the abundance of that delicious summer fruit to create these individual peach and berry crumblers. Grilled peaches, raspberries and blueberries topped with a sweet, crumbly granola topping will be a smashing hit and a repeat on your summer dessert list! 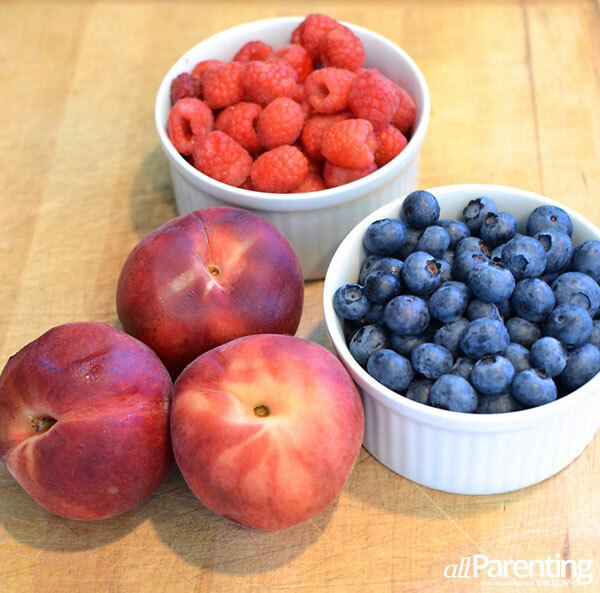 Have you ever tried grilling fruit? Not only is grilled fruit delicious, but it's a great alternative to making a pie during the summer when you don't want to heat up your kitchen. Cut some delicious peaches in half to grill, top with homemade whipped cream, fresh raspberries, blueberries and your favorite granola for an easy and flavorful summer dessert! 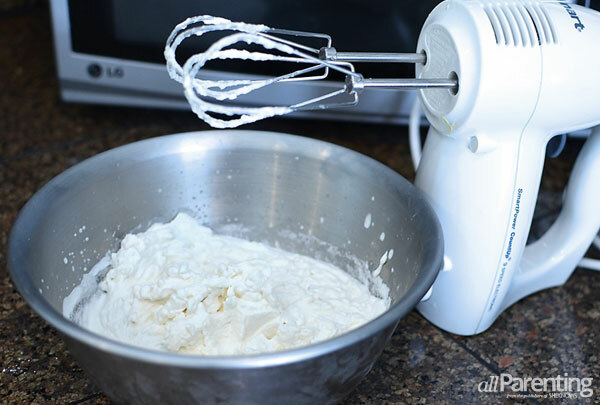 In a large bowl, whip cream until soft peaks are formed. Add vanilla and powdered sugar and whip until peaks form. 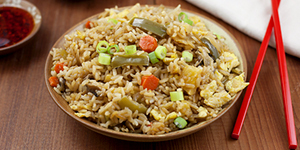 Place bowl in refrigerator to keep cold until ready to use. Using a paring knife, start at the stem end of the fruit and cut through to the pit. Run the knife all the way around the fruit, keeping the blade up against the pit, finishing where you started. Hold the fruit in your hands and gently twist each half in opposite directions until one half comes free from the pit. Set that half aside. Remove the pit from the remaining half by loosening one end with your finger or the tip of a knife. 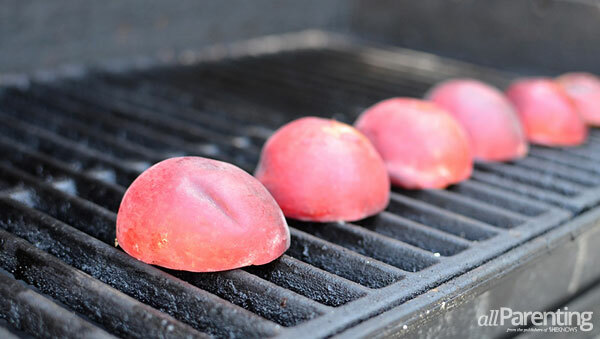 Grill peaches cut-side down, 3-4 minutes per side, until charred and slightly softened. Remove from grill. Place a grilled peach half in a ramekin dish or other small bowl, cut-side up. Spoon desired amount of homemade whipped cream on top of grilled peaches. 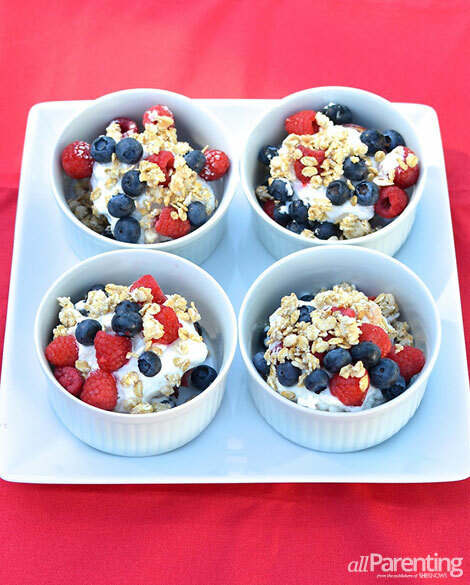 Evenly sprinkle raspberries and blueberries over whipped cream, followed by granola.